Carter’s primary role within the JAF Board is to be supportive, help facilitate relationships (community leaders, entrepreneurs, potential donors, etc. ), promote the JAF mission, help publicize and volunteer at fundraising events, and acknowledge Joe and Jen’s commitment, dedication, and enormous efforts to assist others. 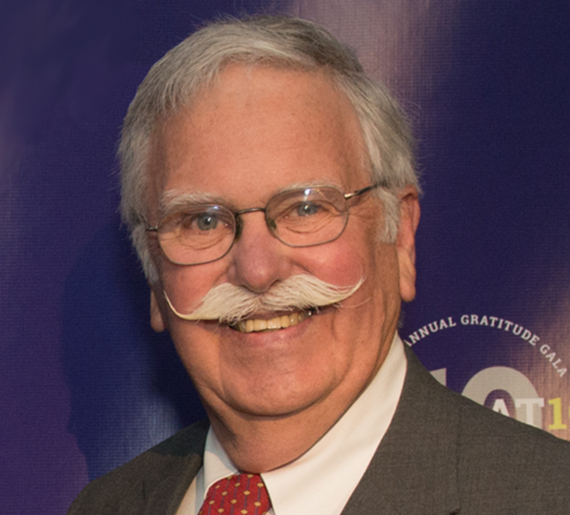 Carter is a retired business executive and currently oversees advanced experiential learning programs established in memory of his late son, CJ, at the Gordon School in Rhode Island. He also coordinates the annual CJ Buckley Junior Team Race Regatta and encourages junior sailing at Greenwich Bay Sailing Association and the East Greenwich Yacht Club. Joe and Jen befriended our teenage son, C.J., during his valiant struggle against high grade glioma and established the C.J. Buckley Pediatric Brain Cancer Research Fund in 2003 at Boston Children’s Hospital to celebrate his life. They later created the Joe Andruzzi Foundation after Joe’s courageous fight against lymphoma, to provide financial assistance to patients and their families battling cancer and to continue to support research efforts. To feel the satisfaction and joy that comes from being a part of an organization that assists cancer patients and their families – emotionally and financially – during one of the most devastating experiences of their lives and, at the same time, funds research to eradicate the scourge. It has also been incredibly rewarding getting to know the depth and competency of my fellow JAF board members who are principled, highly motivated, and willing to devote their time and energy to advance the Foundation’s mission. Not surprisingly, I cherish time spent with our family and friends and value our efforts to support programs established to honor our CJ’s courage, spirit, determination and passion for sailing. I have also had a lifelong interest in anthropology and have served years on the board and as Board president of the Haffenreffer Museum of Anthropology at Brown University.